Our Orange Beginner Felting Needles 6 Pack includes six of our vibrant orange Felt Alive color-coded single point felting needles. 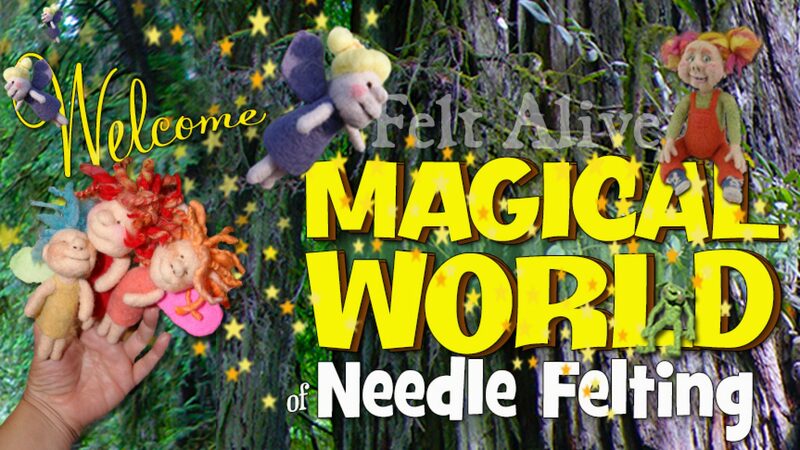 Breaking needles is one of the biggest pitfalls of novice needle felters and this needle helps to avoid that. This fine gauge 40 star felting needle glides easily into your projects for fast and easy felting. The blade on this needle is shorter and not as flexible as most of the other needles, making it much sturdier and less prone to breakage. Felting my projects with an orange Felt Alive Felting Needle feels like I’m felting with my trusty old yellow all-purpose felting needle except that the shorter blade doesn’t bend or flex as easily as my yellow needle. That is great news for beginners or for those of you that tend to break needles when you are felting. Of course, it’s a felting needle and can still break, but this is a sturdy little tool that I believe will become a favorite for many of us. Our orange felting needles are also available in double point and quad point to speed up your felting!